Recently we reported that the Chinese smartphone maker, the OnePlus has confirmed through twitter that the company will launch its upcoming flagship smartphone dubbed OnePlus 6T on October 30 in New York at 11 AM EDT (here). 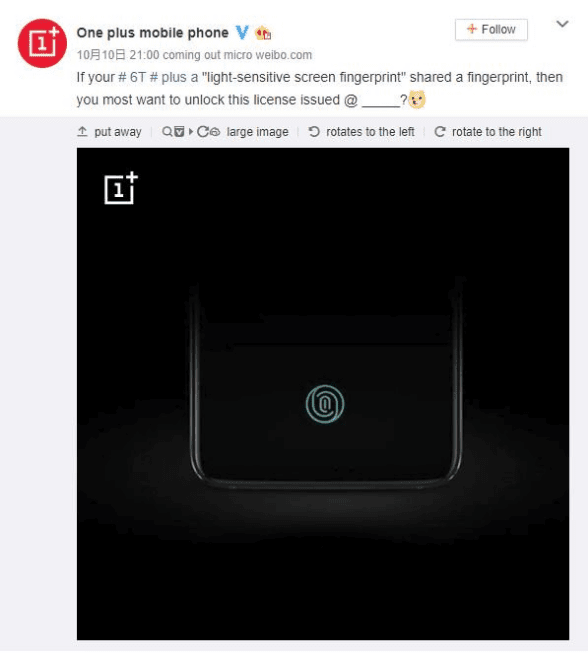 Now today the company has revealed some details about the OnePlus 6T’s in display fingerprint scanner on the Chinese social media platform, the Weibo . According to OnePlus, the upcoming OP 6T will use optical in-display fingerprint scanner which brings higher accuracy and faster response times than the sonic based sensors. It has to be noted that the optical sensor is not adopted by various manufacturers, and the Vivo NEX was the first generation smartphones to use a similar tech, but it has not received excellent reviews, thus it would be interesting to see how OnePlus uses the same technology to get better and faster results. At present most of the manufacturers use optical in-display finger scanner from the Chinese Gudix, but the OnePlus has not yet confirmed it. We have earlier seen the in display fingerprint scanner on the smartphones from OnePlus parent company BBK International (Vivo & OPPO) which had trouble with unlocking while using the optical scanners, since they have to work through the screen protectors which result slower and a bit less precise fingerprint scanning when compared with the ultrasonic ones. 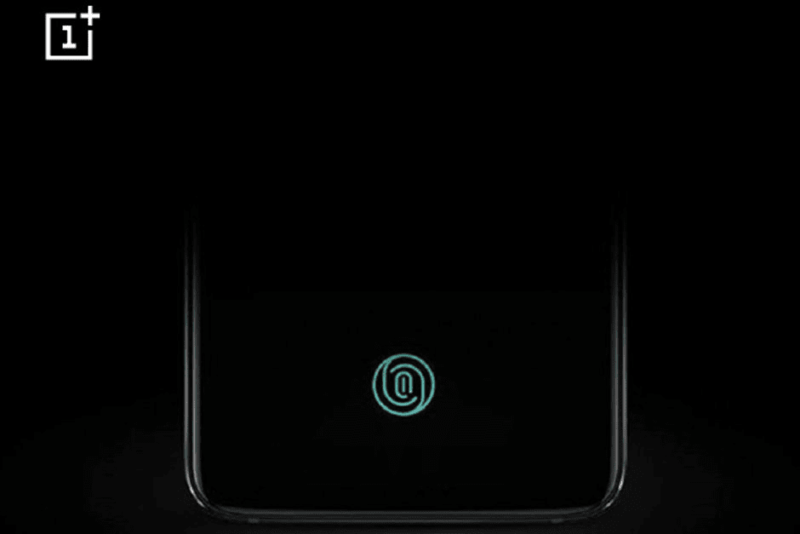 Recent reports revealed that Qualcomm's new ultrasonic in-display fingerprint scanner can work accurately through glass up to 800 microns thick, compared to 300 microns in the previous generation and it is expected that it will implemented on Galaxy S10. 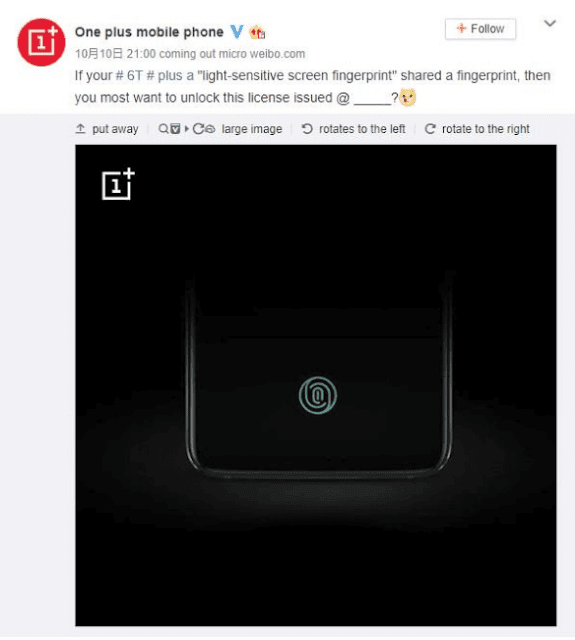 Hence, it will be interesting to see how the in-display finger scanner solution on the OnePlus 6T would compare with the mainstream flagship smartphones which uses ultrasonic in-display fingerprint scanner, but it seem for now we just have to wait a few months more.